As a millennial and a veteran online shopper, it pains me to admit that I’ve found something you shouldn’t shop for online: tile. And it’s not for the reason you’d think. I’m very comfortable with the fact that color rendition online won’t be consistent between my computer monitor and the sample I receive (who cares as long as I can return it?). It’s not indexed well on the internet. What I mean is that it’s not tagged, categorized, and organized so you can find what you’re looking for. Part of the reason I love buying things online is because I generally feel confident that I can see all of the competing products in one place. If it’s not online, it probably doesn’t exist. Armed with my new search terms, my next stop was Google. When seeking products, I typically use the “shopping” filter so I’ll be directed to retailers. And I got nothing! Well, there were a few pages of results, but only one tile was white glazed like my client’s photo and it was double the size. Contrast that disappointing internet search with what happened at our next tile shop visits – we found three manufacturers of white glazed picket tile! How three tile companies can make this product and it’s not visible online is a mystery to me. But apparently that’s how tile shopping works. I tried searching every variation I could think of for “glazed ceramic tile.” I threw in color words, handmade, etc. Sure, I found a few things. But very little selection in terms of size and color. 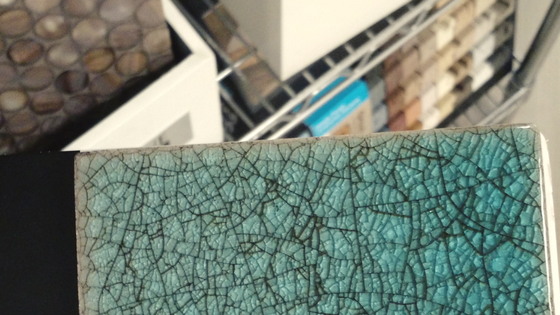 Meanwhile, my client was off shopping at a local store and found a handmade green glazed tile…which was nowhere online! 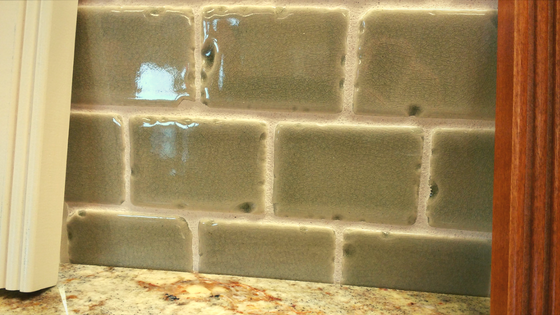 It was the perfect size and color and cost a fraction of the inspiration tile. As a millennial, I never thought I’d say this, but my faith in online shopping has been shaken. Are you reading this, SEO experts? Go find yourself a tile company and help them get their products online. We will all thank you. You’ve done all the research and shopped locally and your favorite product is still an online product. You have my blessing – as long as you’ve comparison shopped in person, you’re making an informed choice. You’d be happy with a wide range of tiles. The clients that sparked this article were both hunting very specific items. They had concrete, precise ideas of what they wanted. If you’re more open and would be happy with a wide range of products, you’re probably safe buying online. I did make a couple of wonderful discoveries with the help of the internet while I was doing this research. First, I was able to contact the interior designer behind the picket tile installation photo and she shared the exact specifications of that tile (so nice!). Secondly, I discovered two dreamy tile manufacturers: Fireclay and Tabarka. Go check them out! 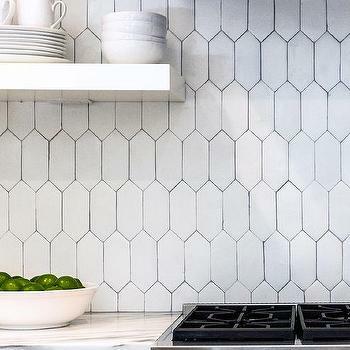 I’ve seen these tiles too, and unfortunately, they are often simply labeled ‘hexagon’. Even though the top does look like a picket fence, the shape is still a 6-sided polygon. Thanks, Ali! Apologies for the delay answering your comment. Yes, poor labeling of tile products is one of the core reasons it’s so tough to find them online. Love the product you linked to, thank you!